Campus Causes was founded by Newbridge Marketing Group. We’ve run college marketing programs since our establishment in 2004, and we are passionate about creating opportunities for students and our brand partners. We saw a need to present students with a better way to raise more for their causes without the hassle or expense that comes with organizing and running fundraisers. 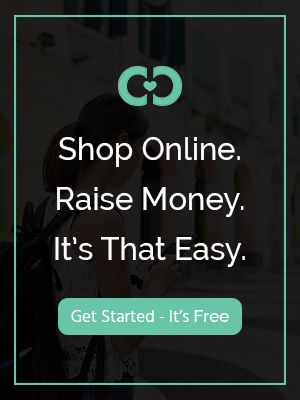 So, we decided to team up with FlipGive, the leader in “Shop to Give” fundraising, who has helped over 30,000 groups raise more than $5 million. Inspired and driven by those who are making positive impacts on their campus communities, we’re proud to provide a platform that will increase efficiency and success of campus fundraising campaigns across North America. Campus Causes is designed to be the go-to solution for students, teams and campus groups who are making a meaningful difference on their campuses through fundraising efforts and for brands who want to support good causes and give back to college communities. Newbridge Marketing Group comprises three divisions: Newbridge Campus, Newbridge Sports + Entertainment and Newbridge LIVE!, our experiential marketing unit. Leveraging learnings from more than 600 partnership marketing programs we’ve executed, we customize programs to help brands and agencies more authentically engage their target consumers. In 2015 and 2016, Newbridge LIVE! was named to Event Marketer magazine’s “It List” of the top 100 event agencies. For our collegiate work, we consolidate an otherwise fragmented market by leveraging platform partnerships at more than 2,000 campuses through campus bookstores, intramural athletics, student unions, cafes and student clubs. For additional information, visit us online and join us on LinkedIn and Twitter.